Taylor Lautner has lavender hair! Is it a new men's colour trend? Home > The Best Haircuts & Hairstyles for Men > The Latest Men's Hairstyle Trends > Taylor Lautner has lavender hair! Is this a new hair colour trend for men? Check out Lautner’s cool new lavender locks! 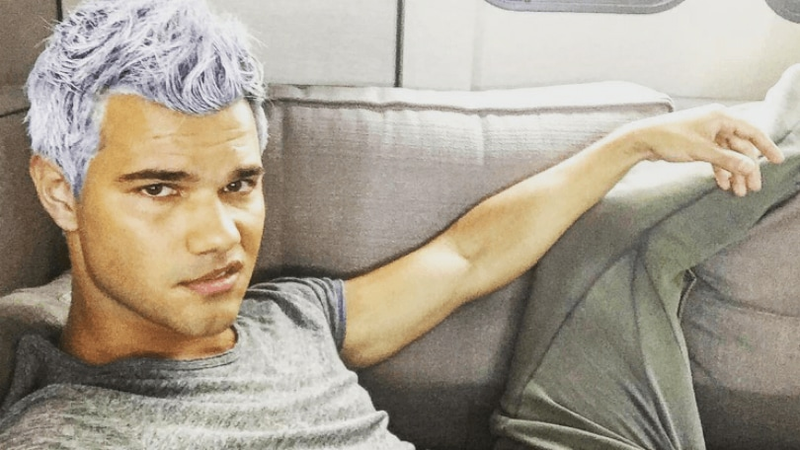 Yes, your eyes have not deceived you: Taylor Lautner has lavender hair! Now, before you get too excited, we feel that it’s our duty to warn you that we’re not completely sure if this dye job is permanent. In fact, word has it, that Launter’s purple locks could be part of his role on Fox’s TV series Scream Queens. If this is the case, then his daring new purple hue could go as quickly as it came! Permanent or not, we think you’d all be very interested in taking a sneak peek at the stars bold new look. So, keep scrolling and prepare to be shocked and amazed! 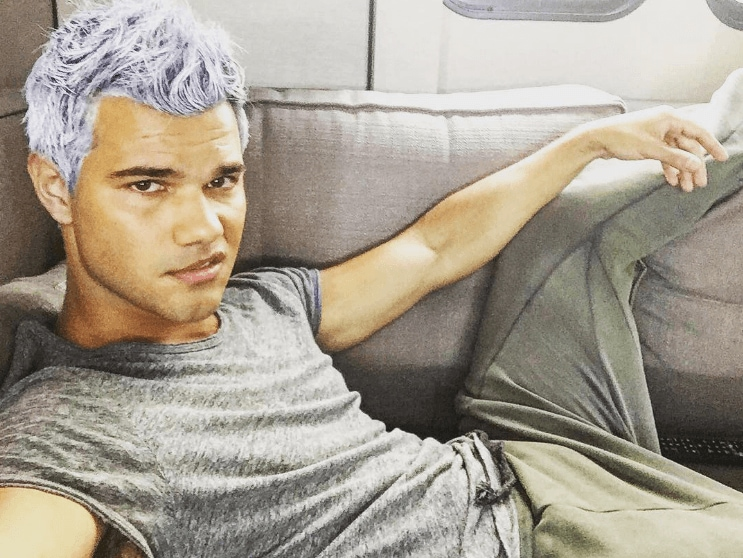 The Twilight actor shocked his adoring fans earlier this week by posting a pic of the new ‘Taylor Lautner lavender hair’ on Instagram. He captioned the image saying: ‘Set life can be slowwwwww’, from the location of Paramount Pictures Studios in Hollywood. So, we can only assume that Lautner was just chilling in his trailer when he decided to reveal his new ‘do. Ever since Lautner debuted his bold look, the rumour mill has been turning – with some even suggesting that the new lavender locks could also be a sly Photoshop job (he wouldn’t try to trick us, would he?). Editor’s tip: If you’re keen to try the ‘Taylor Lautner lavender hair’, then don’t forget to swap your regular wash and care duo specially formulated for coloured tresses. 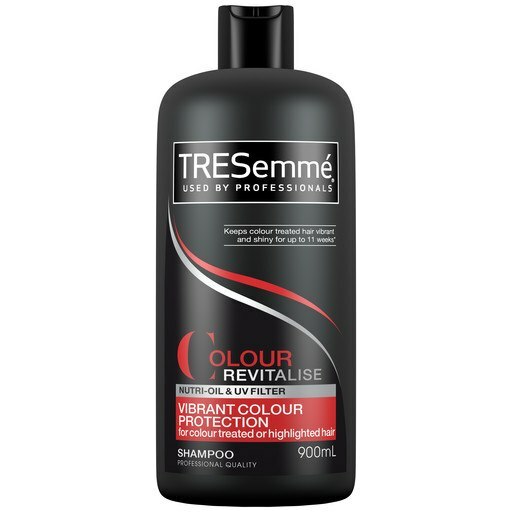 Try the TRESemmé Colour Revitalise Colour Vibrance Protection Shampoo and Conditioner to help maintain your colour’s vibrancy for longer. Gary Barlow shocks fans by unveiling new bleached blonde hair!